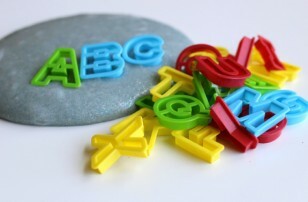 Painting with novel objects is one of my favorite ways of exploring process art with preschoolers. 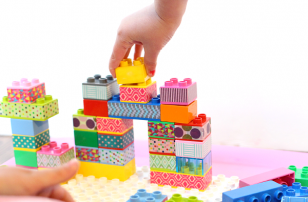 Using tools other than paintbrushes sparks creativity and the ability to think outside of the box. 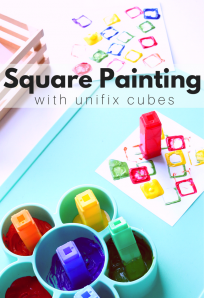 The process is the point, seeing how the tools work with the paint colors, and it’s fun to ask children how they think this object will work in place of a paintbrush. 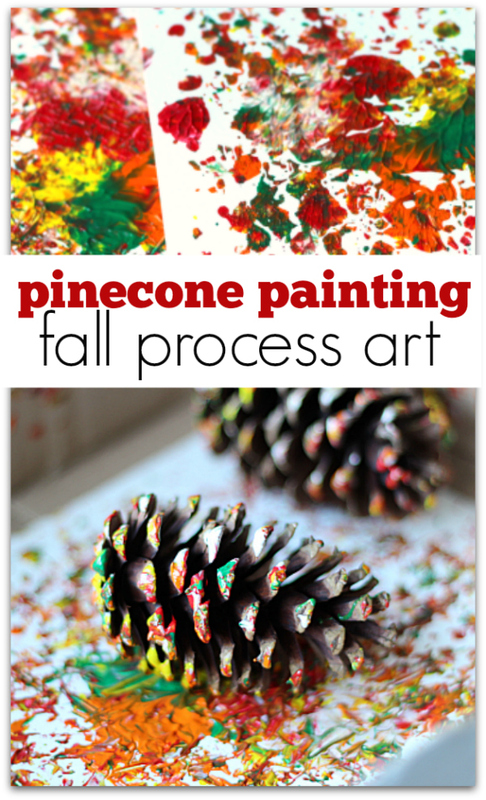 Pinecone painting is a wonderful way of bringing some nature into your classroom during the fall. 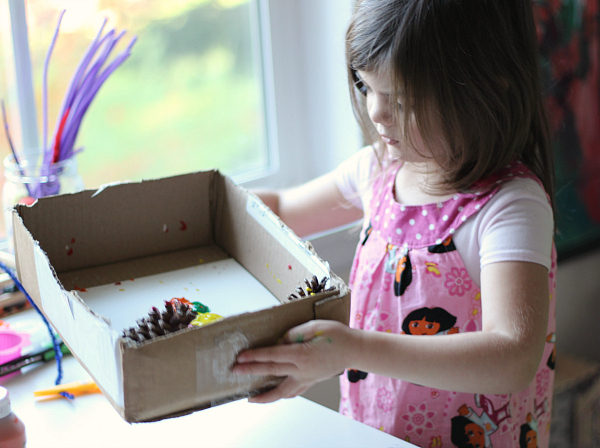 Gather your materials you will need a box, fun colors of paint ( we used red, orange, yellow, and green), a few pinecones, and paper. 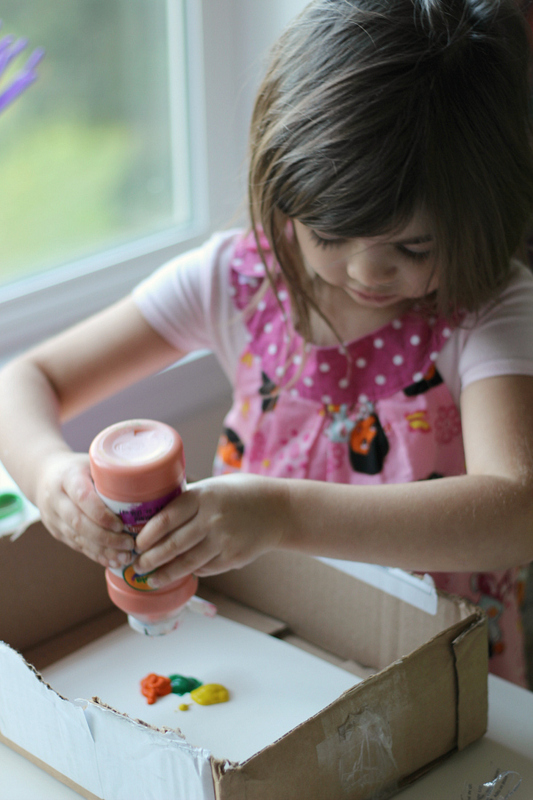 Pop the paper in the box and squirt a little paint in the middle of the paper. Gently roll the pinecones in all directions, careful not to let them fall out of the box. Keep rolling until the artist is sure it’s all done. Let dry and display. 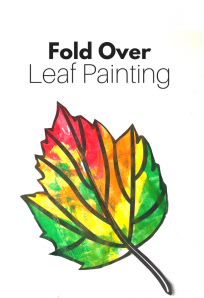 Need some books to go with your fall art? 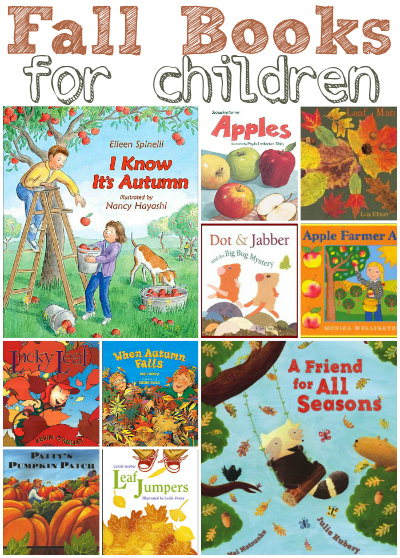 Try these great fall books for kids. I think the pinecones are beautiful after the process, as well. 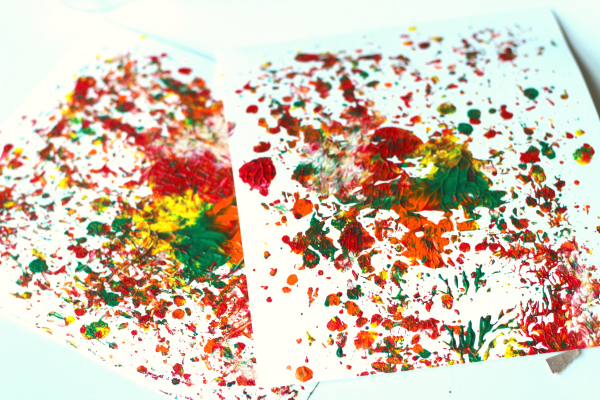 I wonder if you paint the pinecones first, and while they are still wet roll them in the box on paper – would enough paint come off on the paper? 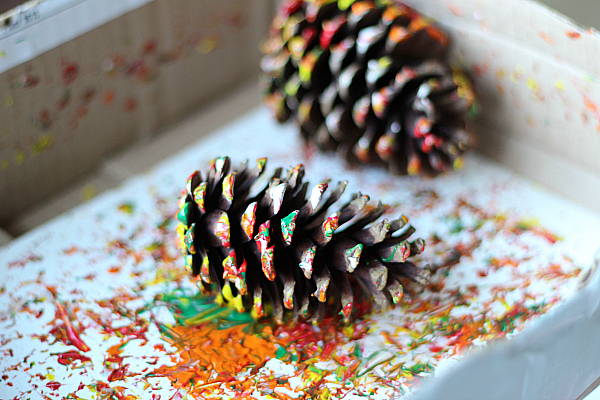 I love this idea (and pinecones and messy art!). 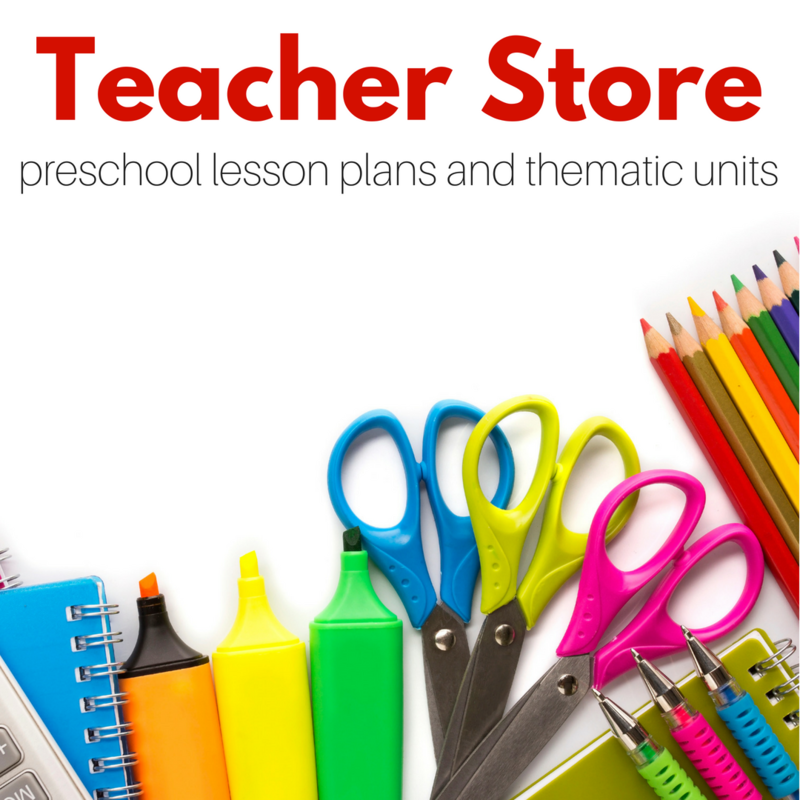 We will have to try this project at home, and display the artwork and the beautiful pinecones! 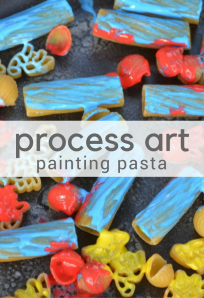 The term ‘process art’ simply means that the learning, enjoyment, and experience of making the art is more important than what the finished product looks like. So quite simply, ‘pure enjoyment’ is a good enough reason to do any ‘process art’ project. 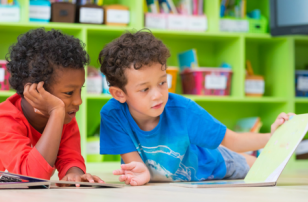 When working with little ones, all art should really be process art because giving them the experience of working with different mediums and creating something that THEY are proud of and made all by themselves should really be the most important thing. can you save the pinecones for decoration? I definitely love the process art but I also agree that the pinecones are gorgeous when done. I’d love to see the pinecones go the next step on another day. Perhaps you could get strands of wool that match the paint colors you chose and wrap them to make hanging objects (christmas decorations!) I feel like you’ve done that project too but I cannot find a way to search your website. I’m such a fan, Jean, and I’ve loved watching this grow into a business over the last six or seven years that I have been following you.